So you’ve decided that it’s time to utilize social media to get the name of your business out there. Sure, people have already been doing this for over ten years, but starting now is better than not starting at all. First things first, you need to look at all the social channels and decide what is right for you. Knowing what channels have the best chance at reaching your audience is the easiest way to guarantee you aren’t wasting your time. 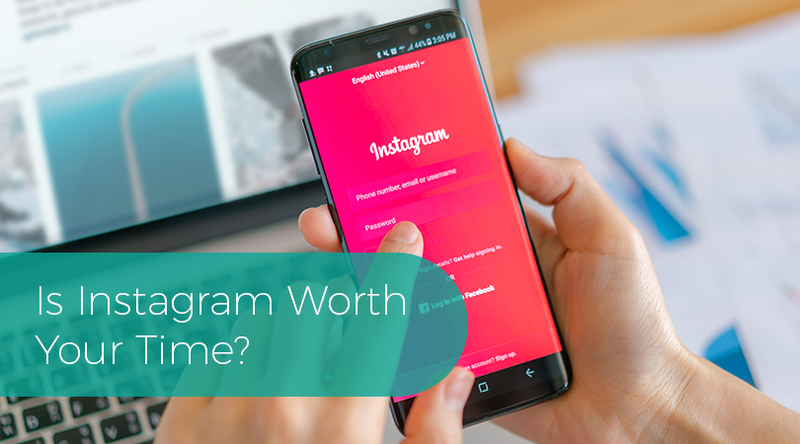 As you scan over all your options, you will inevitably come upon Instagram and wonder if a channel comprised of almost nothing but images is worth your time. Instagram, for those new to the game, is a social media network that allows users to like and share photos. Short descriptions which may include links can accompany these photos. Starting in 2010 Instagram has built a steady stream of followers. In fact, there are over 1 billion monthly active Instagram users, making it the 3rd most popular social media channel. With that many users, there is a good chance you will find at least some of your customers on Instagram. But will your users find you? Social Pilot best summarizes why Instagram is the preferred choice for brands. They point out that over 80% of users follow at least one brand and the algorithm that determines what users see on their news feeds is not as detrimental to businesses. So, this results in a significantly easier path to get your message in front of the right people. So this sounds exciting, right? However, using any new social media network can feel overwhelming. The first step is to take time and set up your account correctly. You want to ensure that your brand is properly represented from the account name to the account bio. Once you have that done, you should find 10-12 accounts to follow. For these accounts, you should concentrate on other brands that you respect but are not in your industry. As you start to follow more accounts, you will notice that their posts are now available on your news feed. Take time to study how they post, what they post, and how many likes and comments they get. Learning from the best never hurts. Once you have a good idea of how things work start creating your own posts. Keep in mind that your first post does not need to be a home run. Aim to take a good photo, apply a filter if needed and write a well-thought-out description. As you start to post more, you will build up followers. At this point, you will want to begin to utilize the hottest feature Instagram has to offer, stories. The trendiest feature in all of Instagram is the story feature which allows users to post pictures separate from their regular posts that disappear after 24 hours. Brands love this feature because it allows them to make multiple posts a day without bombarding anyone’s feed. A typical user will see that the brand has updated their story and they will quickly click through it. I always recommend adding to your story with 2-3 pictures at a time, whereas I would usually not recommend creating more than two traditional posts a day. Later.com recommends utilizing some of the newest sticker features in conjunction with your story. These are overlays that can make each image more interactive by adding a poll or a question to it. Getting your users to engage with your posts will help that post leave a more lasting impact. There is a lot to take in; I get it. Hopefully, you feel comfortable enough to ease into it. However, if you need some more clarification or would like to let the pros handle it then reach out to us. The team at SMA is here to help.